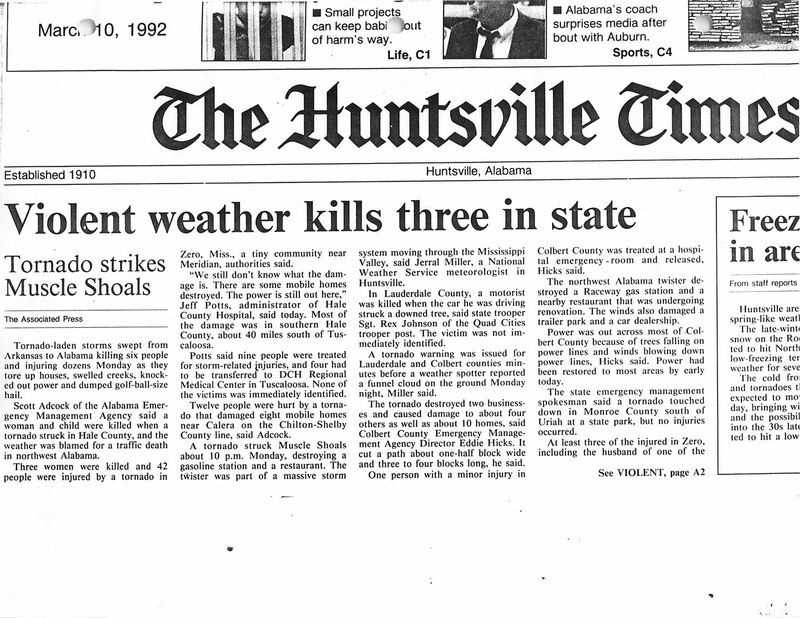 Alabama experienced two tornadoes, one of which was a killer, in the overnight hours on March 9-10, 1992. A woman was killed in a mobile home and an infant was killed in permanent home in Hale County when an F3 tornado moved through the area at 2:05 a.m. on March 10. Seven people were injured in the tornado. The storm moved from 5 miles southeast of Forkland to 5 miles east of Greensboro. Many homes were destroyed. 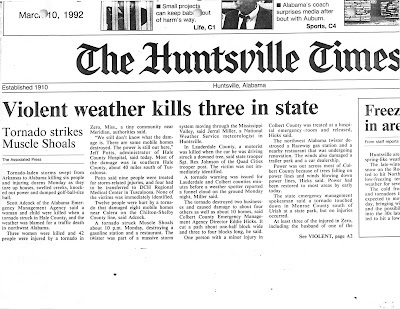 Earlier, an F1 tornado destroyed two businesses (gasoline station and restaurant) and damaged four others, in addition to damaging 10 homes in Muscle Shoals in Colbert County around 10 p.m. Jerral Miller with the NWS Huntsville said that a tornado warning was issued moments before a storm spotter reported the tornado. One person was injured in this tornado.